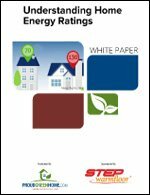 Introduced in 2006, the Home Energy Rating System (HERS) Index became the industry standard by which a home's energy efficiency is measured. The HERS Index gives homeowners and buyers a standard by which they measure the energy efficiency of houses they currently own or are planning to buy. This white paper gives an overview of the HERS Index and what RESNET is doing to enhance the consistency of its scores.